New York State Senate passes bill that prohibits the state from doing business with companies that seek to boycott Israel. The state of New York this week became the latest state to pass legislation against the anti-Israel Boycott, Divestment and Sanctions (BDS) movement. The New York State Senate passed a bill that prohibits the state from doing business with companies that seek to harm Israel and other American allies through boycotts and discriminatory economic agendas. The bill (S6378A), sponsored by Senator Jack Martins (7th Senate Distict) and Senator Simcha Felder (17th Senate District), passed on Wednesday. It expands existing state law to prevent New York from entering into a state contract or investment with those seeking to economically harm American allies. Current New York State law prohibits the State from directly engaging in an international boycott against American-allied nations. New York City has a similar prohibition as part of its administrative code. 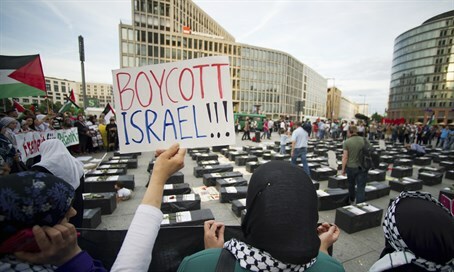 However, the state could indirectly support a boycott of American allies by providing state monies to businesses or individuals that participate in boycotts like the BDS movement. The new legislation would expand New York’s law by prohibiting state contracting with, or state investment in businesses or individuals that promote or engage in activities to boycott, sanction, or divest in Israel and other American allied nations. This would prevent the state from becoming unwilling participants in a discriminatory agenda. By passing the law, which was sent to the Assembly, New York joins several other American states that have already spoken out against BDS. Last month, Florida became the fifth American state to pass a resolution condemning BDS, following the lead of Tennessee, whose state legislature was the first to pass a similar resolution against the movement. Last May, the Indiana General Assembly also passed state legislature to pass a bill that formally opposes the BDS. The Senate’s move came after the Indiana House of Representatives unanimously, by a 93-0 vote, passed the anti-BDS House Resolution 59 on April 22.